The final stop of the #RoadtoReAwakening went through the heart of Northbridge with EPW @ the Deen: an evening where the shape of EPW ReAwakening 17 was finalized. 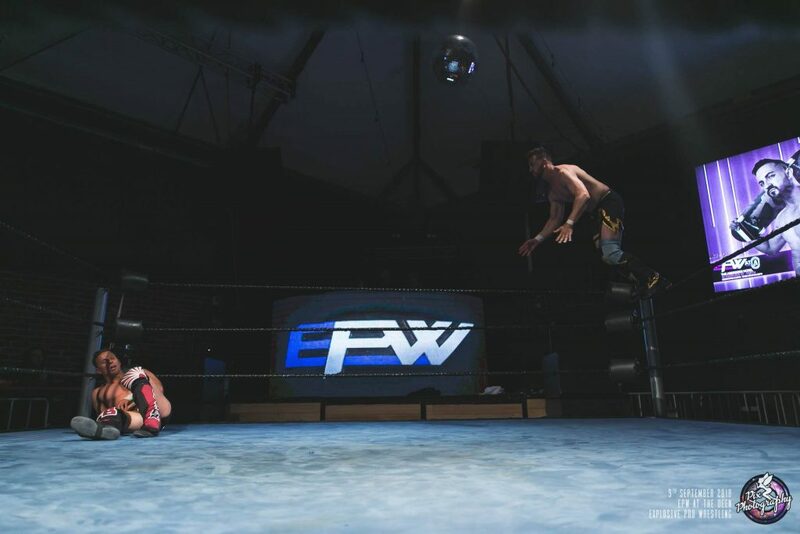 The opening contest at the Deen was the first taste of the ReAwakening 17 Ladder Match Main Event as Logan Grey took on one half of the EPW Tag Team Champions in Marcius Pitt. Both men were looking to get one over and kickstart their momentum towards ReAwakening. Billed as Strength vs Speed, Pitt started the match by inviting Grey to take his best shots. Whilst Grey’s forearm shots couldn’t knock him down, the Grave Walker took to the sky to obtain the advantage. With two of EPW’s very best going to battle, it was a shame this match was marred by interference from the outside. Its continued disruption of the great one-on-one action didn’t cease but perhaps did set the scene for ReAwakening. 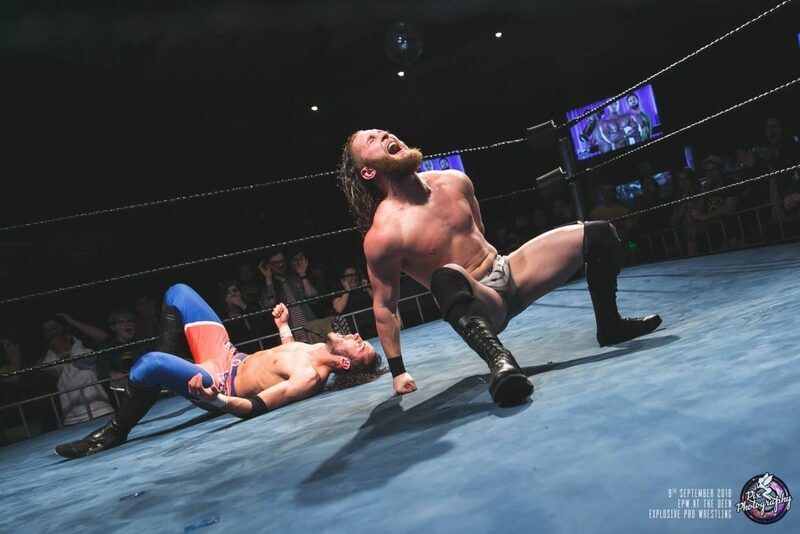 Logan Grey was able to fend off outside shenanigans and connect with an impressive Springboard Shooting Star Press. Before we could see if this would be enough to put away Pitt, Damian Slater came in to break up the pinfall. This ignited chaos which left the referee with no choice but to call the match off. After the match, Mean Dean Olsen received word through his headset that we would not see a repeat of this anarchy in the main event. 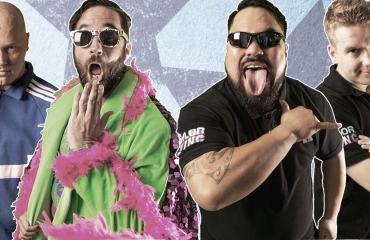 “The Voice of EPW” announced to the athletes and the fans at the Deen that Marcius Pitt and Logan Grey would be banned from ringside when Damian Slater took on Alex Kingston for the main event. Ryan Allan returned to EPW for the first time in over a year and a half after a serious knee injury. Prior to the match, Allan mentioned he felt as if his luck was about to change. And right on cue, this bought out a focused and vicious Dan Steel. After being attacked backstage at Vendetta, Steel was not in a pleasant mood. Allan tried to put up a brave fight, however, Steel stopped this with sickening headbutt’s reminiscent of the last time he was at the Deen. He then finished the job as he punted Allan in the head for the pinfall. Dan Steel celebrated his victory by challenging the mysterious hooded figure who attacked him to face him in the ring a ReAwakening 17. Will we finally get answers November 3? 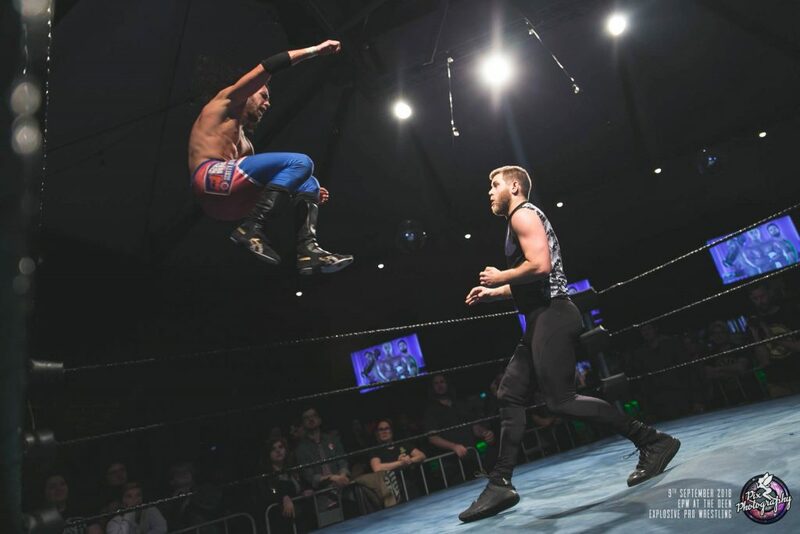 Gorgeous Garry and Tyler Jacobs were the first two competitors to have the opportunity to punch their card to the EPW Invitational Tournament Finals at ReAwakening. Gorgeous Garry made the final by the virtue of an errant chair shot from Billy Williams, whereas Tyler Jacobs overcame Hayden Zenith with the arrival of his Children. Jacobs is a former Invitational Tournament Winner and a former two-time EPW Champion before ‘The Light’ called him. He was always going to be a tough obstacle for “The Gorgeous One” to overcome. Always willing to have a bit of fun, Garry engaged in a pose-off of sorts at the beginning of the match. Jacobs pounced and attempted to catch Garry off-guard, but he was not clever enough to fool Gorgeous Garry. As the match got going, “The Nonstop Catwalk Show” met trouble on the runway as The Children kept interjecting to protect their leader. 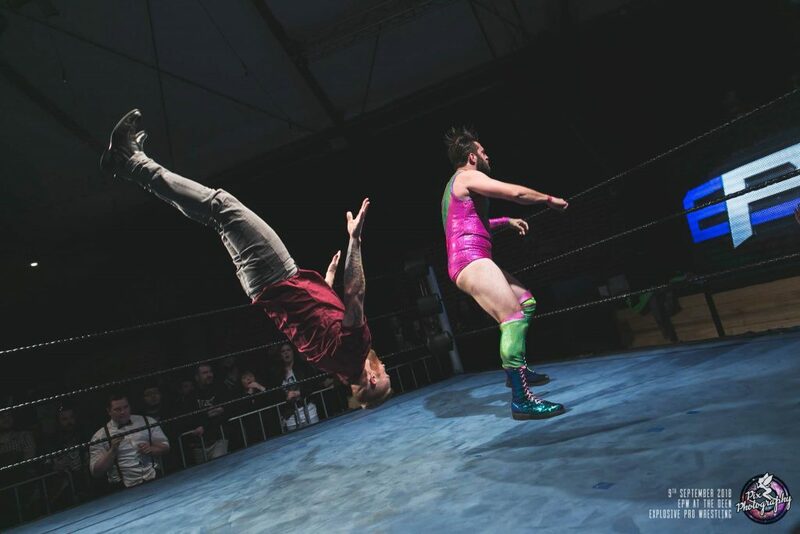 Refusing to be blinded by the light, Gorgeous Garry was able to sidestep Jacobs who crashed into his Children, which staggered him long enough to fall victim to a Drop Dead Gorgeous defeat as Gorgeous Garry advanced to the EPW Invitational Tournament Final. The fans at the Deen were treated to the appearance of the new EPW Champion, “The Real Wrestler” Gavin McGavin. McGavin clearly had a vested interested in the upcoming Gauntlet Match. Faking humility, he talked about his journey to become EPW’s first ever Grand Slam Champion. Before the fans could be fooled into seeing a new side of McGavin, he cut down the fans in his trademark fashion. 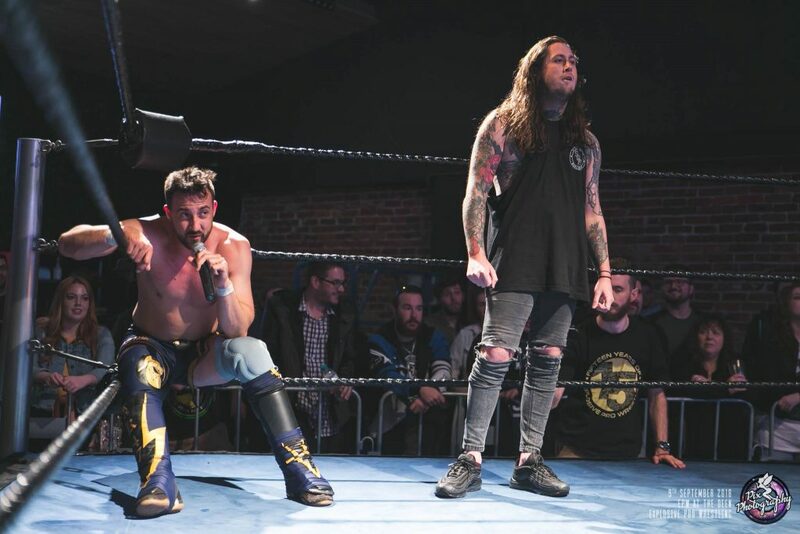 Frustrated about being overlooked and let off the show, Gavin McGavin made his way to the commentary booth to observe the Gauntlet Match and find out who would face him in what he called the “Real Main Event” of ReAwakening. The first match in the gauntlet was a first-time matchup in EPW, with Craven taking on the former EPW Champion, “The Don” Michael Morleone. “The Australian Sensation” is world traveled and was looking to make a splash upon his debut year in EPW. Morleone, on the other hand, had a point to prove after former friend Hayden Zenith cost him the EPW Championship at Vendetta. Both men grappled at the beginning, looking to gain the advantage as they felt each other out. Changing tactics, they went to throw in some strikes. Whilst Craven has amassed a huge following throughout his career, the fans at the Deen looked to will “The Don” on so that he could earn the opportunity to regain a championship that many felt he didn’t truly lose. Craven was able to reverse Morleone’s patented Choke Bomb which gave him an opening to fly for a Swanton. 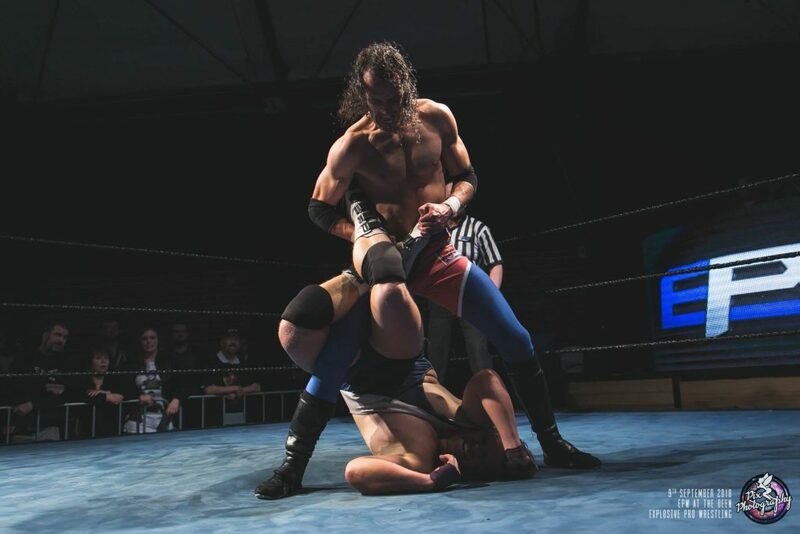 However, the former champion Morleone was one step ahead and was able to roll out of the way to connect with the Choke Bomb, earning him the pinfall. 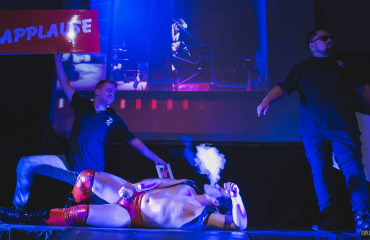 The next man to enter the Gauntlet was “The Prince of Perth”, Jay Taylor. 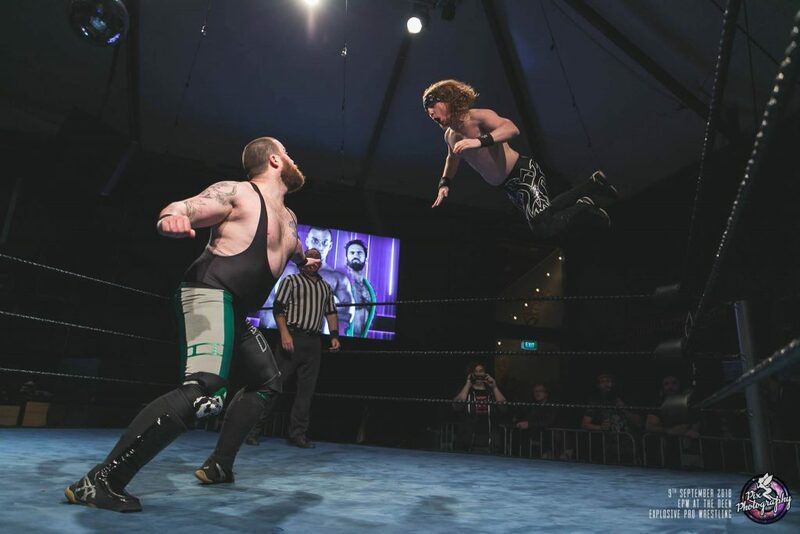 After falling short in his quest for the EPW Coastal Championship, JT was looking to earn a shot at Gavin McGavin’s Championship. Never one to shy away from an opportunity to put himself on display, Taylor took his time coming out, which may have proved costly in giving Morleone a chance to recover. However, as the match was just beginning, some unfamiliar music played. Eventually, the logo on the entrance screen would reveal the name of Hayden Zenith. This diversion proved enough for Jay Taylor to hit his Cutter out of nowhere for the victory. 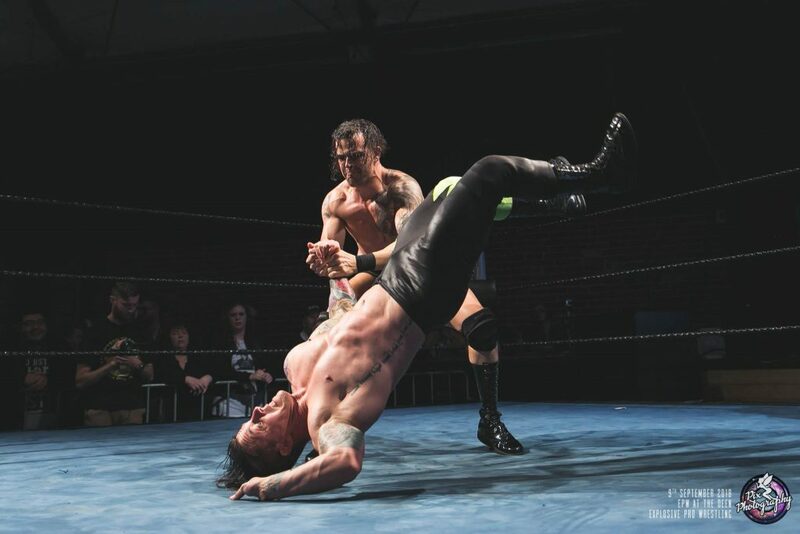 Having gotten past the leader of Generation Zero, Jay Taylor needed to contend with its “Big Rig” next as he faced the EPW Coastal Champion, Scotty Ryan. The longest reigning Coastal Champion in history was looking to survive the Gauntlet and bring the EPW Championship back to Generation Zero. Fuelled by an impromptu rev up from Morleone, Scotty took it right to Jay Taylor from the get-go. After a Scotty Ryan dropkick, the two athletes found themselves exchanging blows on the outside. 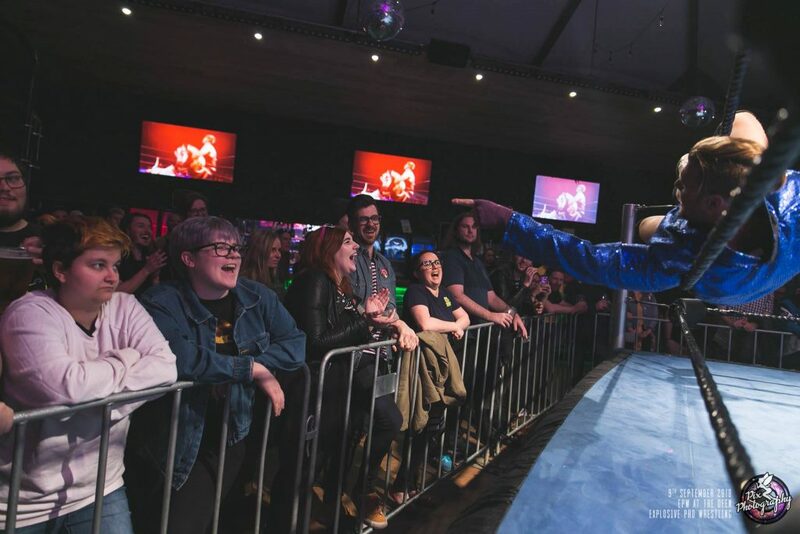 “The Prince of Perth” had to battle against cries of “Princess” from the EPW fans as he took control. However, “The Big Rig” rallied and was able to capitalize by reversing an attempted Cutter into the Sharpshooter for the victory. Getting past “The Prince of Perth”, the mood shifted as Billy Williams entered, flanked by THEM. Whenever Drake Wallace and Bobby Marshall surround the ring, it makes the task that much more difficult for the competitor in the ring. As predicted, it didn’t take long for Wallace and Marshall to ambush Ryan on the outside as Billy Williams captured the attention of the official. This allowed Williams to dictate the terms. However, his bravado would soon be his undoing. Needing to continue his message of chaos and humiliation, Billy Williams looked poised to hit Scotty Ryan with the Eye of the Storm. However, he took his time taunting to the crowd which allowed “The Big Rig” to use the opening to counter with the CY O’Connor Roll and a three count. Billy Williams and THEM did not seem to take kindly to the loss and surrounded Scotty Ryan in the ring. Before they could attack, they were halted by the arrival of the final entrant into the Gauntlet; Julian Ward. Once Billy Williams lead the retreat, the final match of the Gauntlet began. With Ward and Ryan left in the ring, the two men turned their attention to the prize as Ward leaped out early with a sudden clothesline to start the match. 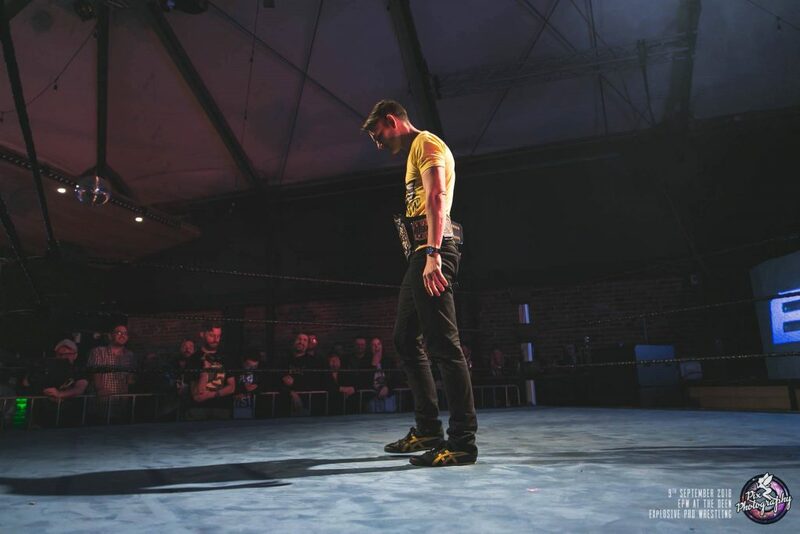 Ward fell short at last year’s ReAwakening as well as in the EPW Invitational Tournament Final, so a win here against a fatiguing Ryan would offer a shot at redemption. This was a brutal back and forth affair which took its toll on the in-ring environment. Undeterred, both competitors left it all behind with some bone-rattling suplexes and slams. Some stiff shots were exchanged as they fought tooth and nail for an EPW Championship opportunity. It would be “The Big Rig” who prevailed through a well-negotiated take down into the Sharpshooter, which lead to the submission victory. So at ReAwakening 17, it will be Champion vs Champion as Ryan challenges McGavin for the EPW Championship. Now the question stands: will Scotty Ryan become a “double champ”, as the fans chant suggested upon his victory? Kiel Steria and Taylor King would face off to find out who would meet Gorgeous Garry in the EPW Invitational Tournament Final at ReAwakening. For Steria, this was an opportunity to re-enter the EPW Championship race, whereas King was looking to continue his upward momentum towards the main events of EPW. Kiel was all business as he took the opportunity to take out Jack Edwards while King was distracted, bopping his head away to what he believes to be the American National Anthem. Oblivious to Steria’s attack until after the fact, “The Child Star” dispatched Tipene to aid the loud-mouthed hype man. Kiel displayed is trademark athleticism by moonsaulting onto Tipene and Edwards on the outside to make it a one-on-one affair– or so he thought. 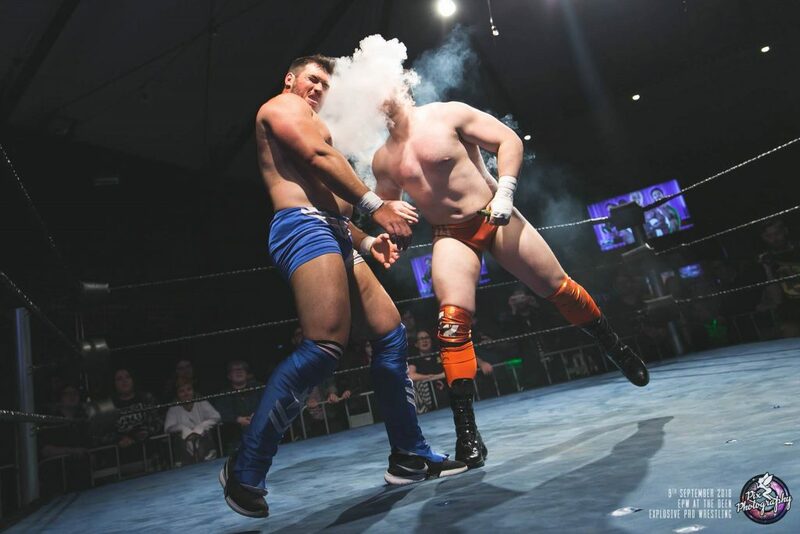 Steria was all over Taylor King until Edwards got involved again, not only stealing the attention of Steria and the official, but also giving Taylor King time to use his vape-stick and the leverage of the ropes to schoolboy Steria for a cheap but effective victory. “The Don” Michael Morleone came out from backstage, still fuming over Zenith’s attack at Vendetta and his distraction earlier in the night. Zenith appeared on the big screen in an attempt to justify his actions. At the end of his explanation, he challenged “The Don” to a match at ReAwakening which Morleone was more than happy to accept, instantly embracing the chance to claim vengeance with both hands. The main event saw two former EPW Champions go head-to-head in singles competition as the final teaser before ReAwakening. Whilst their eyes are on Tag Team supremacy at the moment, both men are more than accomplished in individual action. Given that their tag team partners were both banned from ringside, this promised to be an absolute belter. And an absolute belter it was as both men were on early, not giving the other space to breathe. “The World Beater” worked over the leg of “AK47” in the hopes of grounding the high-flyer and wrestling the match on his terms. This would prove to be a sound strategy as Kingston could not put power through his leg to mount the comeback or capitalize on an opening when he was able to catch Slater with an enziguiri. Despite Slater being in the driver’s seat, Kingston refused to give in. He showed the heart to keep fighting and kick out, with the EPW fans reminding Slater that he couldn’t get “the job done” and put away the Street Gang Hooligan. Kingston was able to stamp his away out of a predicament on the top rope before conducting a One Man Border Patrol, leaving Slater reeling. In this urgency, Slater held on to the referee as Amber emerged from the back to push Kingston off the top. This proved all the opening the EPW Tag Team Champion needed to finish “AK47” off with a Slatality. After the match, Slater gloated over the microphone with Amber at his side. This time, however, Kingston would not leave The Untouchables with the last word. He took the moment to remind the cocky Slater that it was the Street Gang Hooligans who defeated The Untouchables at the beginning of the year in a Three Stages of Hell match. 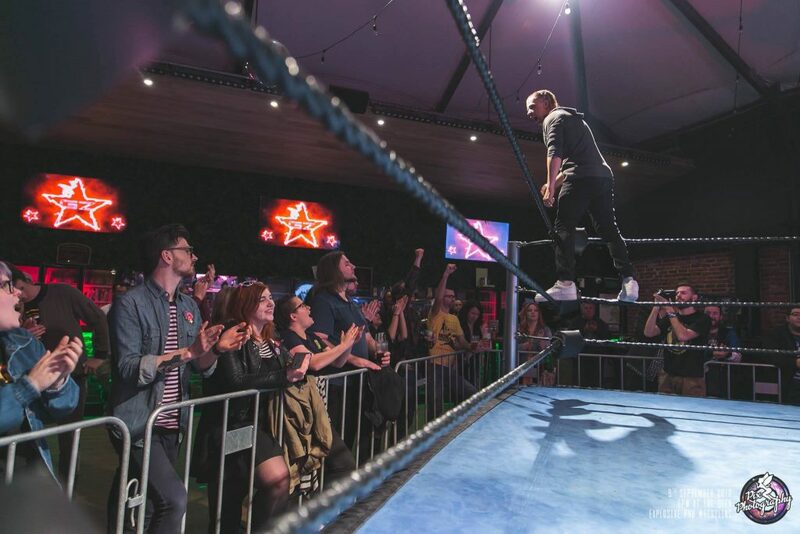 Alex Kingston spoke of the hunger and determination of the Hooligans, and how he and Grey scratched and clawed their way back into position to challenge for the EPW Tag Team Championships. At ReAwakening on November 3, Kingston proclaimed that it is undeniable that the Street Gang Hooligans will win the EPW Tag Team Championships. 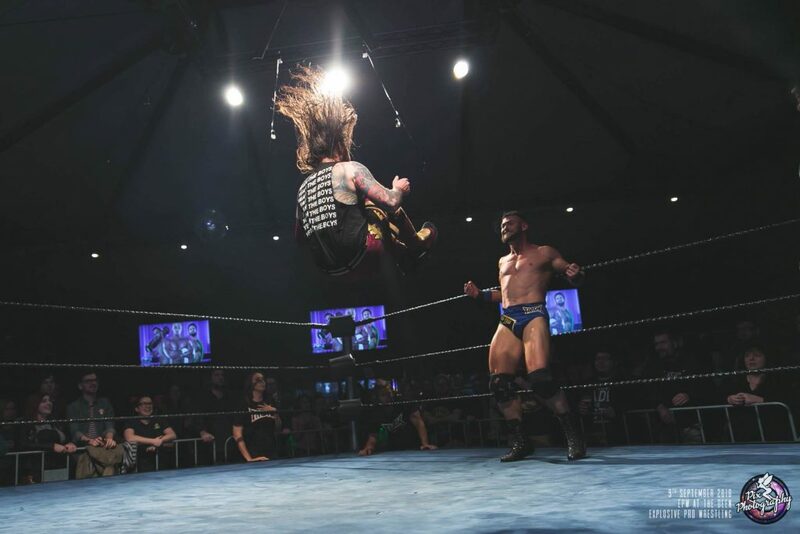 There’s only one way to find out if these words will reign true and that’s by heading over to epwperth.com and securing your tickets for ReAwakening 17. With a huge Ladder Match Main Event, the implosion of Gen Zero’s “The Don” Michael Morleone and Hayden Zenith, a returning Jonah Rock, the EPW Invitational Tournament Finals and Champion vs Champion as EPW Coastal Champion takes on EPW Champion Gavin McGavin; EPW’s ReAwakening debut at Gate 1 Claremont Showgrounds is not to be missed!